Andrew was born and raised in Topsham, ME. He attended Mt. Ararat High School where he played in two state championships. After high school he went on to play and study at Thomas College. While at Thomas College, Andrew majored in Sports Management and was named to the All-NAC Second Team. In 2011 Andrew started his coaching career leading his U12 Merrymeeting team to a Soccer Maine State Championship. In 2012, he was girls varsity coach at Poland High School where he led the program to their first winning season and went on to the Class B semi-finals. Andrew then went on to accept his current role as varsity girls coach at Falmouth High School where he has coached for 5 years. During his time with Seacoast, Andrew's teams have won 4 state championships and multiple tournaments across New England. He has also taken teams to Jefferson Cup and the NPL Showcase where his teams came home with division titles. 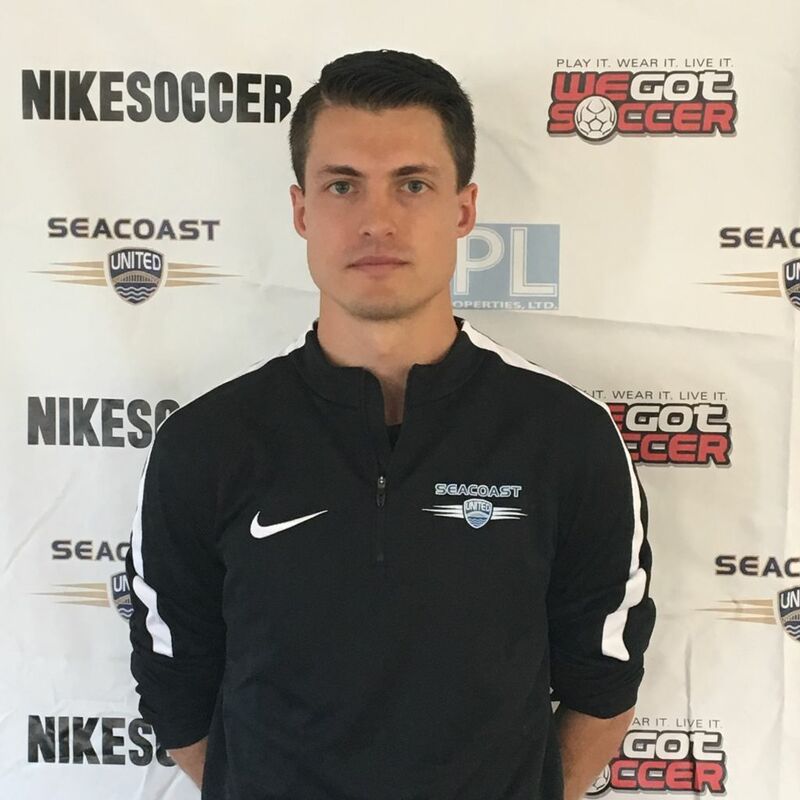 He also is the General Manager for the Women's Premier Soccer League (WPSL) team, Seacoast United Mariners. Andrew is the Girls Director of Coaching and resides in Cumberland with his wife Samantha and children Myles (3) and Elliotte (<1). Martyn Keen is a native of North Wales where he was a schoolteacher, soccer player, and coach in the League of Wales for many seasons. He was also involved in working with the Welsh U15 schoolboy's team before moving to the United States in 1994. In the States, Martyn has been heavily involved in coaching and has worked with many age groups and in many roles. 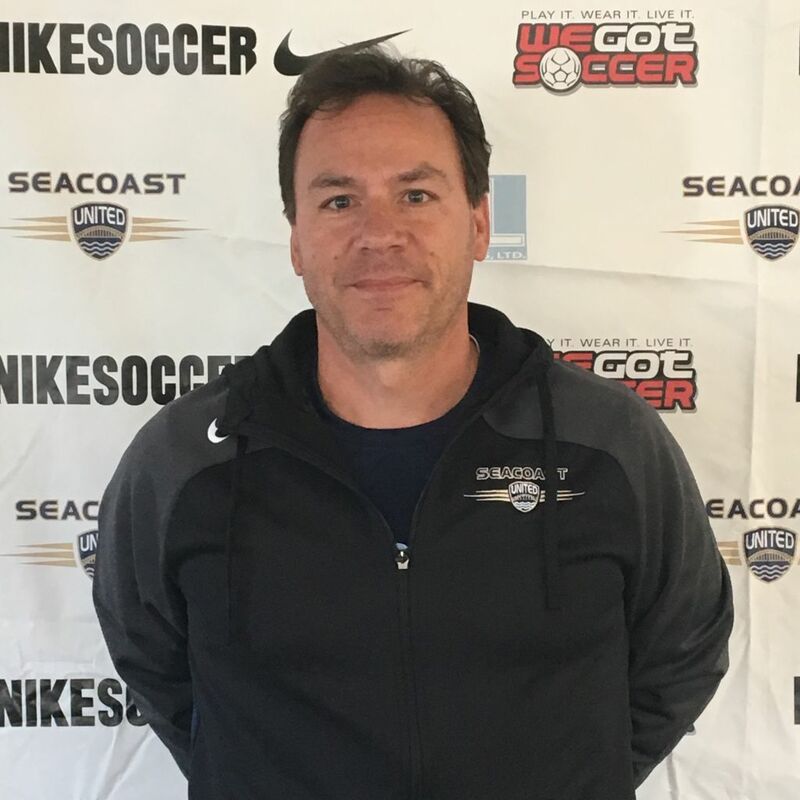 At various times, he has been varsity boys coach at Deering High School, assistant head coach at the University of Southern Maine and Director of Coaching for Southern Maine United, Southern Maine Premier, and Merrymeeting soccer clubs. He was the founder of Safehands Goalkeeper School, which has run successful goalkeeper programs for more than 12 years, and he was the director of the Competitive Edge soccer camps. Martyn has seen more than 100 of his players go on to play collegiate soccer at every level. He has been particularly lucky with goalkeepers and has been the private coach to players who have started at prestigious programs such as Duke University, University of Virginia, Boston College, and Stanford. Away from soccer, Martyn has a Bachelors Degree in Education and a Masters Degree in Sports Science. He is also certified by the American College of Sports and Medicine as a Health Fitness Specialist, by the American Council for Exercise as a Lifestyle and Weight Management Consultant, and he is a certified Motivational Interviewing Counselor. He is also certified in CPR and basic life support. Martyn is a member of several professional organizations in addition to the ACSM and ACE, the AACVPR (American Association of Cardiovascular and Pulmonary Rehabilitation), AHPERD (Association for Health, Physical Education, Recreation and Dance), and the NSCAA (National Soccer Coaches Association of America). 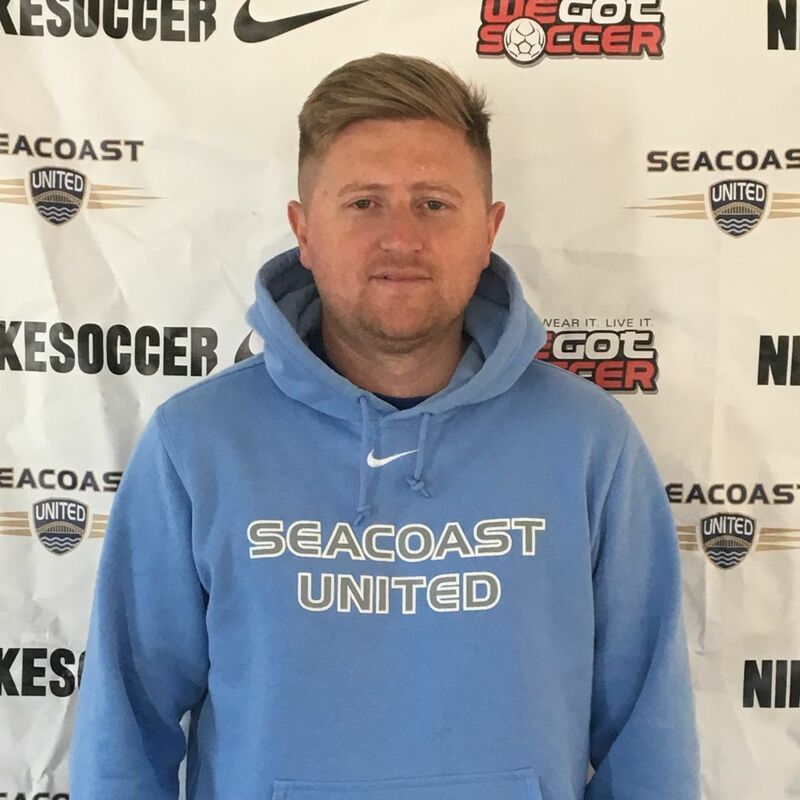 This year, Martyn will be coaching the Seacoast United Maine South U13B Premier Blue team, as well as the Director of the Seacoast United Maine Goalkeeping School. Jim Wade has been coaching youth soccer and college soccer for over 20 years. Originally from Northamptoh, MA, Jim spent years as the Director of Youth Development for Northampton Soccer Club in the mid-90's. 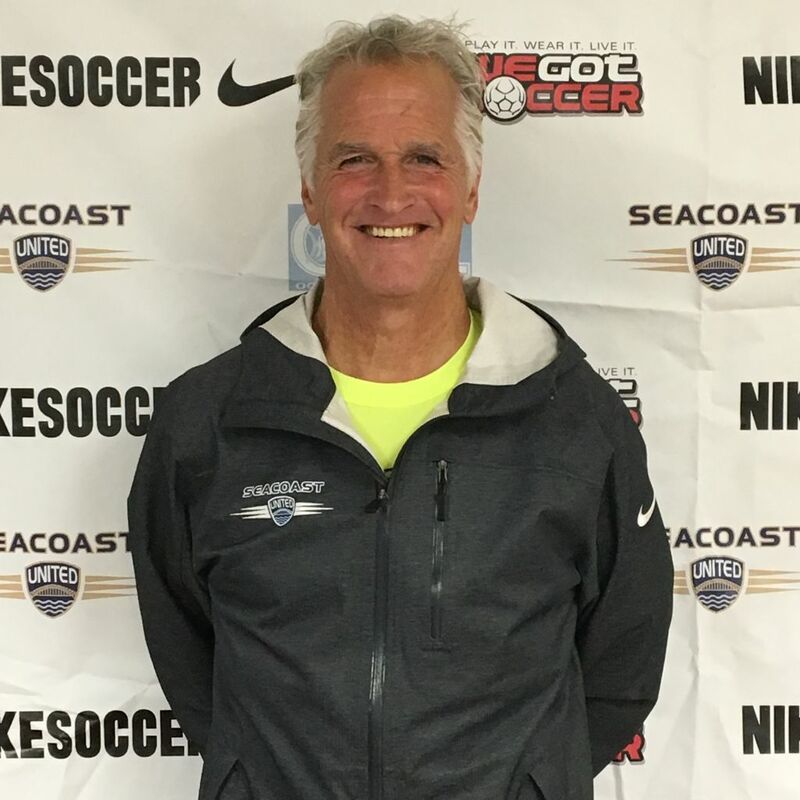 After moving to Maine, Jim became the Assistant Coaching Director for Coastal Soccer Club based in Brunswick. 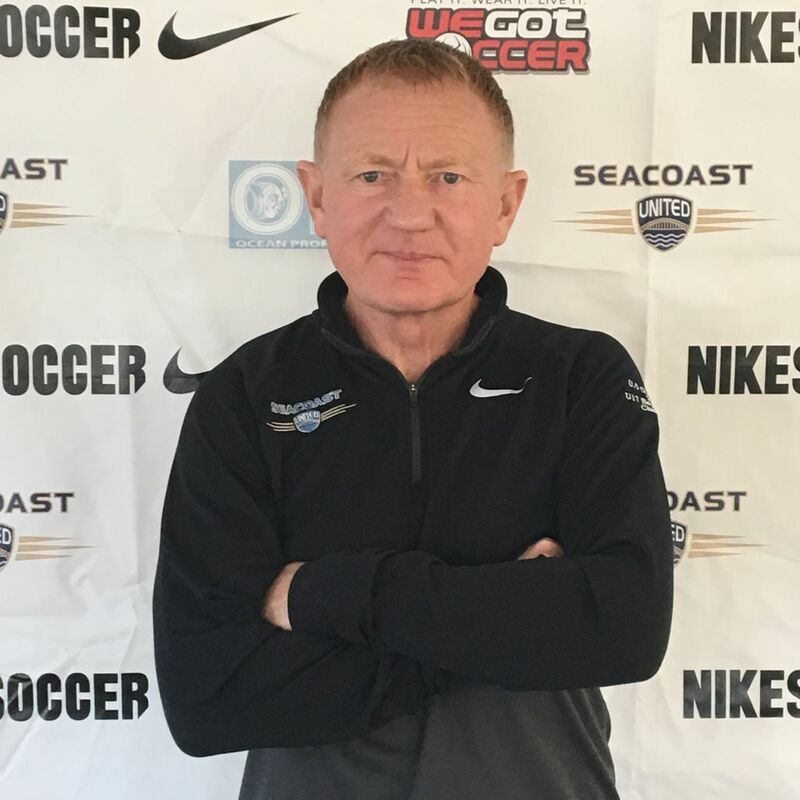 When Coastal Soccer Club merged with Seacoast United, Jim continued as Boys' Coaching Director. Jim became Assistant Men's Coach at Bates College from 2000-2004, then Assistant Men's Coach at Colby College from 2005-2011. He was the coach of the Boys' Brunswick Jr. High team from 2000-2005 and is now back as Boys' Director for both their 7th and 8th grade teams. Jim was on the Regional Staff for ODP for 5 years, working both at Rider College in New Jersey and call-back camps at Bowdoin College, Kutzown University, and Penn State. A long time head coach also at Team Prep in Casco, ME, Wade has coached numerous high school boys and girls teams including Northfield Mt. Hermon, Taft School, Governor's Academy, St. Paul's, Pingree, Loomis, and more. Jim holds two "A" Licenses: The NSCAA Premier License and KNVB (Dutch Royal Coaching Association) Advanced National. Coach Wade has taken a total of 5 premier teams to the Region I Championships, holding a record 15 State Championship titles in Maine. Jim will coach the U12B Premier White & U10B Premier Blue teams for the 2017/18 season. Scott is from the small seaside town of Walmer, England and locally Brunsiwck, Maine. After playing youth soccer in England, he moved to Maine in 2006 and played for Brunswick High School and Seacoast United Maine for four years. After high school, Scott played for Sage College of Albany for four years. During his time at Sage College, he holds several records including all-time goal scorer and most goals in a single season. In 2012, he was named to the CoSIDA Capital One Academic All-American third team, NSCAA All-Region Second Team and 2012-2013 Sage Male Athlete of the Year. In the same year, he earned the 2012 ECAC Upstate Division III Men’s Most Outstanding Player and Skyline Conference All-Star First Team honoree. Scott was named to the Skyline Conference Scholar-Athlete Team in 2011, 2012 and 2013. Scott graduated in 2014 with his Bachelor of Science in Biology. Scott moved back from England in July 2016 and is now currently the Director of Youth Programs. He holds his USSF D license, ACE personal training certification and First Aid/CPR/AED certification with the American Red Cross. Jim Shimansky will become SUSC - ME Assistant Director of Operations, with responsibility for all club player tuition, and registration items. Jim will also assist leadership in club performance tracking, and strategy. Originally from Lexington MA, Jim graduated from Thomas College in Waterville ME with a degree in Business Management in 1989. While at Thomas College, Jim was a 4-year starter and part of a team that won the NAIA New England Championship twice and made an appearance in the NAIA National Championship Tournament. Jim lives in Gorham ME with his wife and two children. He has coached for many years for Gorham Youth Soccer and is in his seventh year as the DOC. Jim has his USSF D License and his NSCAA Level 1 Goalkeeper Diploma.